After an unintentional hiatus…Happy World Oceans Day! Hello there, over-a-month-later! Long time no see. I would have liked to update this blog several weeks ago, but there have been a variety of contributing factors to my lack of contribution to the blog world. Let’s see -vacation, work-work-work, family issues, work, technological difficulties, and apathy. It happens. It also so happens to be World Oceans Day! I have a post about gardening that I need to get on, but for today, I’ll just post a little bit about World Oceans Day. World Oceans Day is a worldwide celebration, especially among AZA-accredited facilities (American Zoos and Aquariums) like my place of employment. We have tons of crafts, games, stories, animal meet’n’greets, and education. It’s a great way to celebrate our oceans, which give us life. Think about it -approximately 75% of the oxygen you are breathing right now came from the Ocean. Yes, we think of plants as oxygen producers and they are! Maybe you’ve heard that most of the air you’re breathing came from the rainforest. That’s not true; about 25% of the oxygen you breathe is from the rainforest. 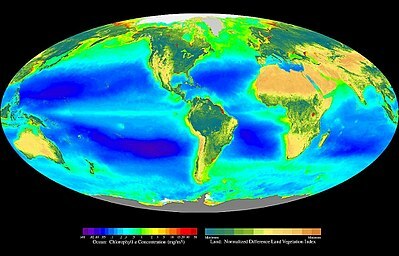 The majority of the oxygen we use is from phytoplankton (algae) growing in the seas. It makes sense, what with all that open space for photosynthesis to occur. Oceans are also very threatened. Sea life is threatened by overfishing, poaching, invasive species, destructive fishing practices, and pollution. Pollution is one of the worst offenders, and plastics and oil are at the top of that list. Plastic pellets from plastics production litter even remote, uninhabited isles in the ocean. Imagine that beautiful tropical island you probably think about when you’re bored at work. Now imagine plastic trash washed up all over it. Yuck. Also, animals will eat that plastics trash and then they die from it. Bad news! But the good news is, we can reduce our use of plastics, reuse anything and everything we can, and recycle what we cannot use any longer. It’s been said over and over, but it does make a difference -and it’s an easy lifestyle change to make in most American cities. I mentioned, briefly, oil pollution as well. Ever heard of Exxon Valdez? Not a good spill, and for many grown-up Americans, it’s the first disaster that comes to mind when you think of Ecological Disaster. Well, every 8 months approximately the same amount of oil enters our oceans from runoff alone. That car leaking oil in the Target parking lot? Rain will come and wash that oil down the drain where it will eventually reach the ocean. So, what are you going to do to help our oceans? Why do you love our oceans? I pose this question to guests to find out their answers, and I will post them later as an update, but fore me, the answer is simple. To help our oceans, I pledge to ride my bike and use public transportation to commute to work once a week. I do this because I love all the animals of our oceans, and I appreciate the medical, social, economic, and intrinsic benefits they bring to humanity. This entry was posted in Nature and Conservation and tagged conservation, environment, hiatus, marine life, marine pollution, ocean conservation, world ocean day, world oceans day. Bookmark the permalink.